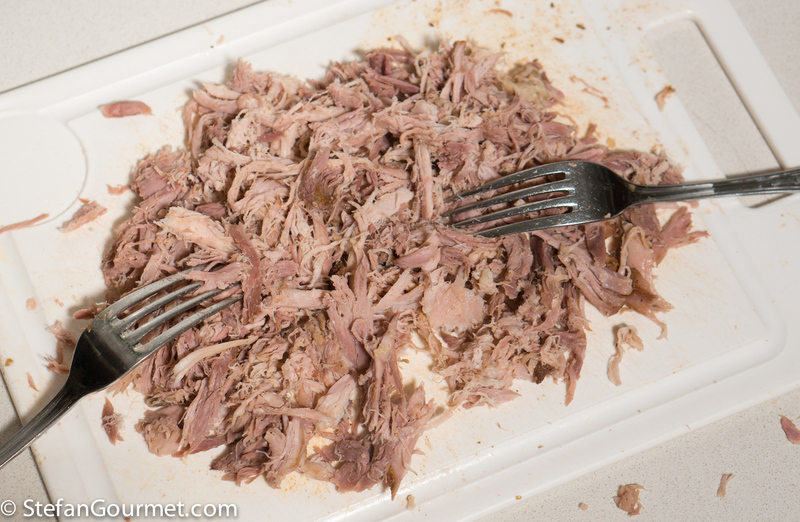 Pulled Pork is a classic dish from the South of the United States. Its name is derived from the technique to “pull” the meat apart with two forks after it has been cooked. Because of its popularity more and more “pulled” dishes pop up, including Pulled Lamb and now Pulled Chicken. I have seen recipes for Pulled Chicken using chicken breast, and to me that is quite ridiculous. 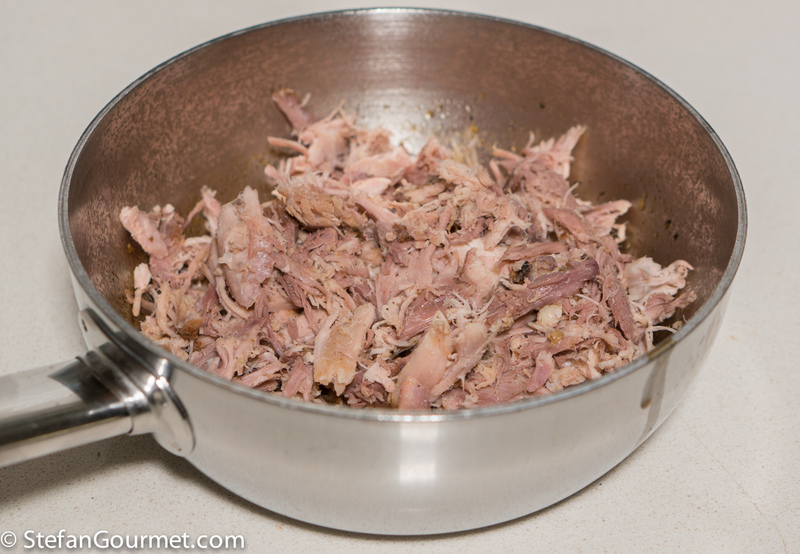 Pulled whatever is all about low and slow cooking so the connective tissue can dissolve and add flavor. With chicken breast that is just not possible, just like pulled pork is not made using pork tenderloin. And so chicken legs it must be! 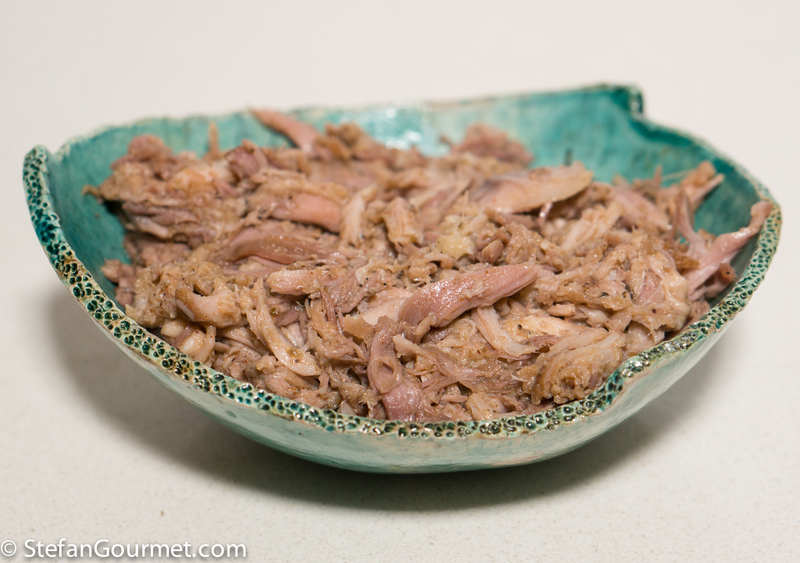 Like pulled pork, pulled chicken is easy to prepare sous-vide. 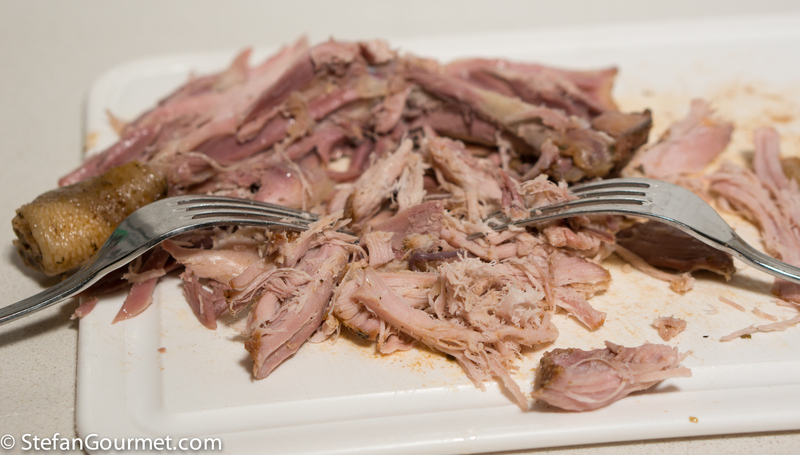 The main rule to remember when making pulled chicken sous-vide is to remember to add the juices back to the meat after pulling, as they contain a lot of flavor and will make the pulled chicken much more juicy. As for the spices, you can use anything you like. 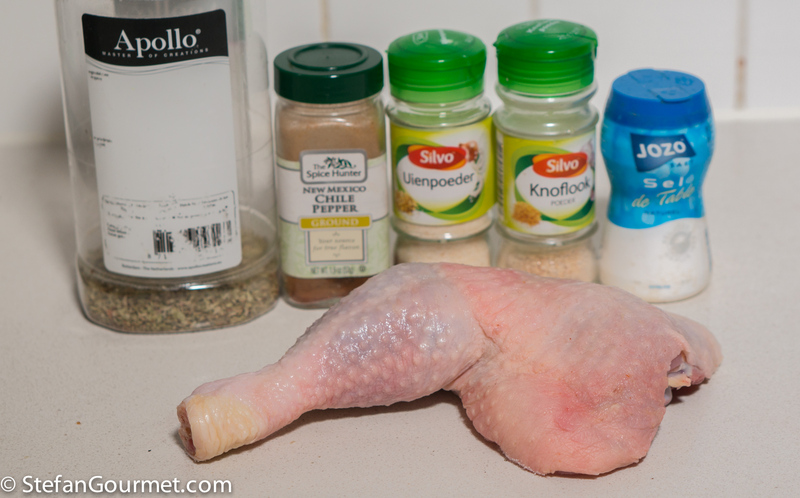 As long as you use about half of a teaspoon of salt per chicken leg, the rest is up to you. The flavors I suggested here are a bit South-Western, but you could easily replace the New Mexico chile powder with sweet, spicy, or smoked paprika for a different version. 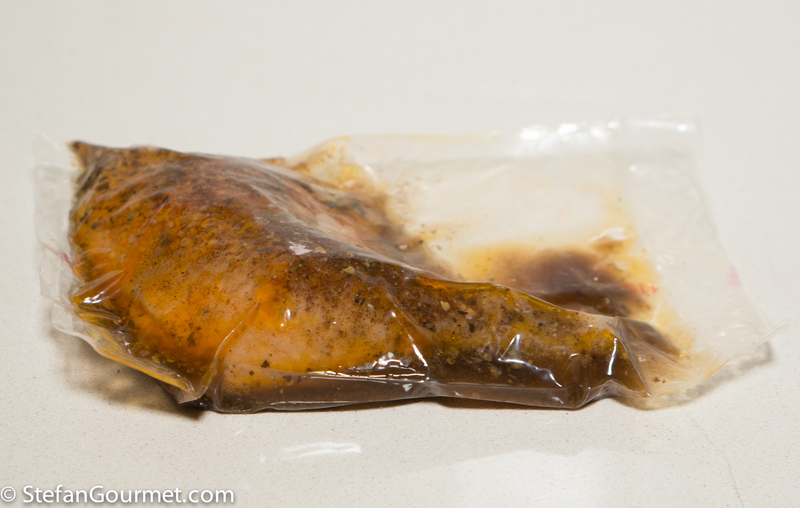 The best temperature for pulled chicken sous-vide is 74C/165F. The time depends on the age of the chicken. A stewing hen, which is an older chicken that is suitable for stewing or making soup, has more flavor and is often cheaper than regular chicken. For regular young supermarket chicken 8 to 12 hours will suffice, but for stewing hen 24 hours are needed to get to a pulled texture. The pulled chicken has such good flavor that I don’t think a sauce is needed. It is great on a sandwich or in a salad. 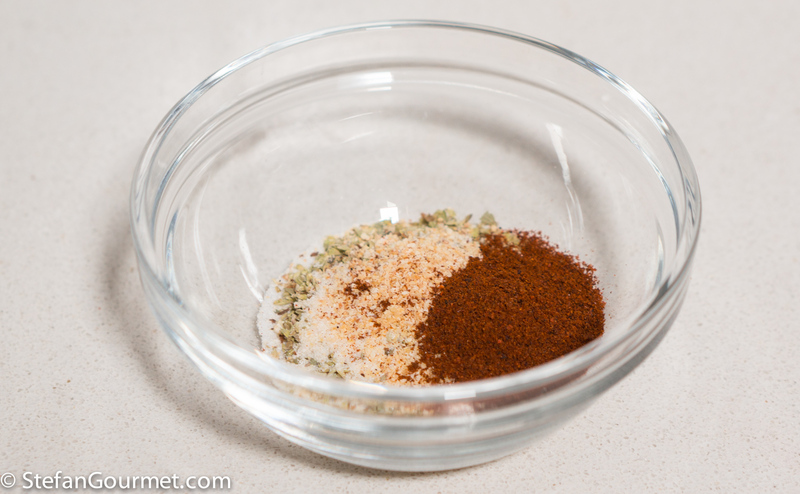 Put the salt and spices in a bowl, and stir until homogeneous. 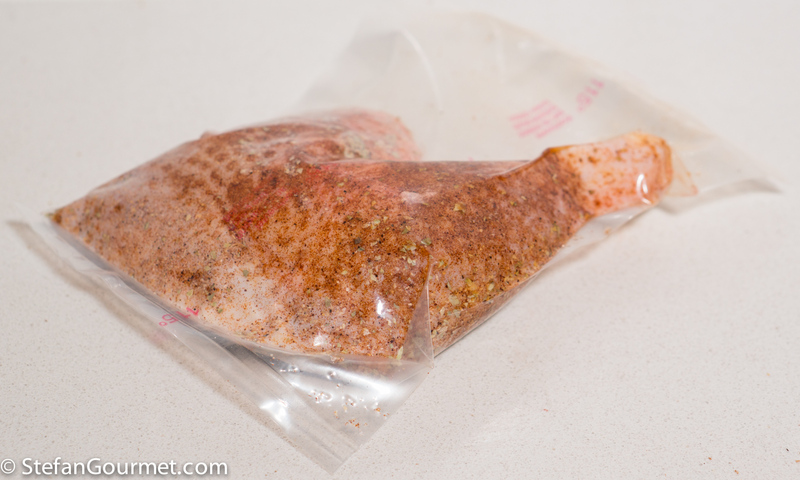 Rub the chicken on all sides with this mixture, and vacuum seal. Cook sous-vide for 8 to 24 hours (depending on age of the chicken) at 74C/165F. Reserve the juices from the bag. Remove the skin. I discarded it, but you could cook it in the oven until crispy. 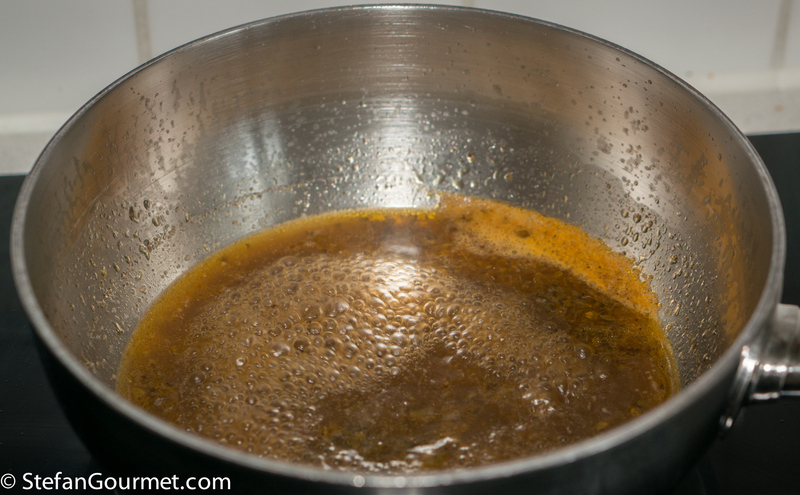 Pour the reserved juices into a saucepan, bring to a boil, and then simmer until reduced by half. 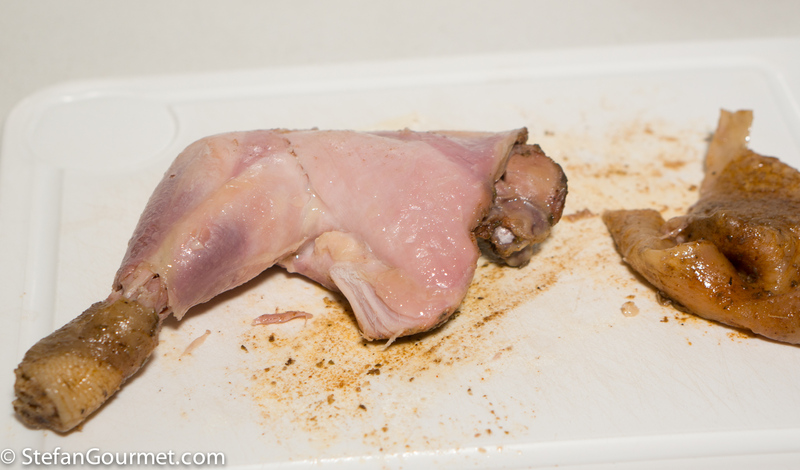 Meanwhile, shred the chicken meat using two forks, discarding any veins and other irregularities you encounter. Keep shredding until the chicken has a “pulled” texture. 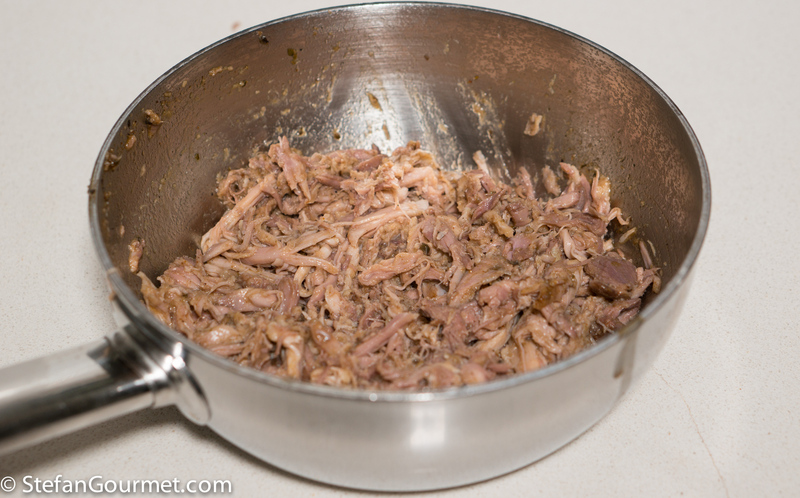 As soon as the juices have been reduced by half, turn off the heat and add the pulled chicken. Stir well to coat the chicken with the juices. Taste and adjust the seasoning if needed. The pulled chicken is now ready to be served. 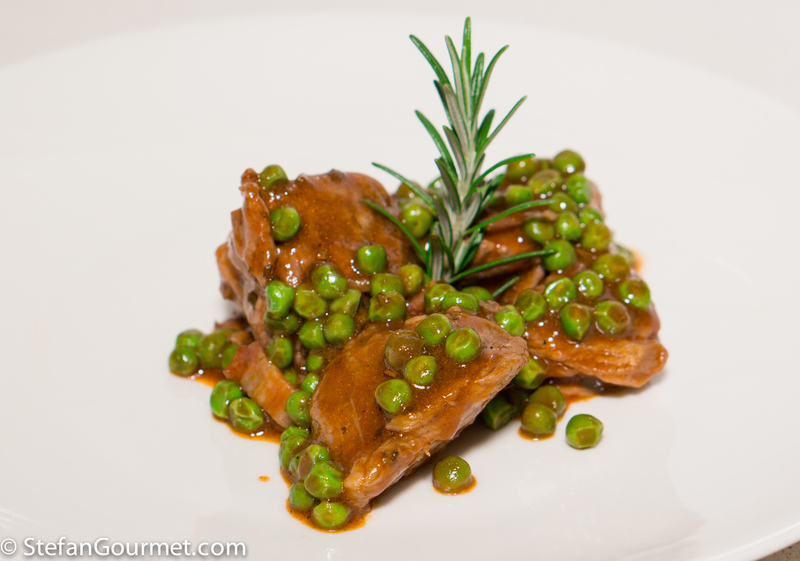 Agnello alla Romagnola is a great lamb stew with peas, pancetta, and tomato from Northern Italy. This looks really good, one could make rillette from this with some added fat…..
Oh my… this sounds delicious Stefan! Can imagine it could be used in so many different ways too.